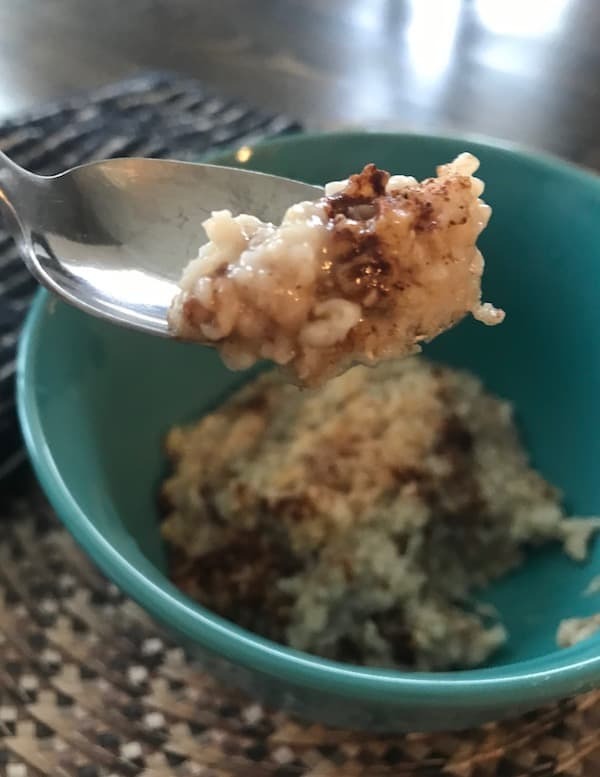 Rice cooker oatmeal is just as easy to make as it is delicious. And according to most nutritionists, it’s good for you. That’s why I make a point of having it for breakfast at least three times a week. So many people overlook their rice cookers when it’s time to prepare a meal. I basically see it as another tool to make anything that simply needs a heating element and a holding bowl. Since rice and oatmeal are grains, it makes sense that a rice cooker will do just as good of a job with both. The other breakfast food I prepare in the rice cooker is a vegetable frittata. But that’s not all. I also make rice cooker pineapple upside down cakes that are moist and scrumptious. I can pretty much count on people begging for seconds when I make them. Oats contain quite a few essential vitamins and minerals. Oatmeal is loaded with fiber to keep your body running smoothly. You’ll get an abundance of antioxidants when you have oatmeal several times per week. This powerhouse breakfast cereal helps moderate blood sugar. Cholesterol is no match for oatmeal since it helps lower LDL (bad cholesterol). Eating oatmeal is filling and can help with weight loss because you won’t be as hungry afterward. 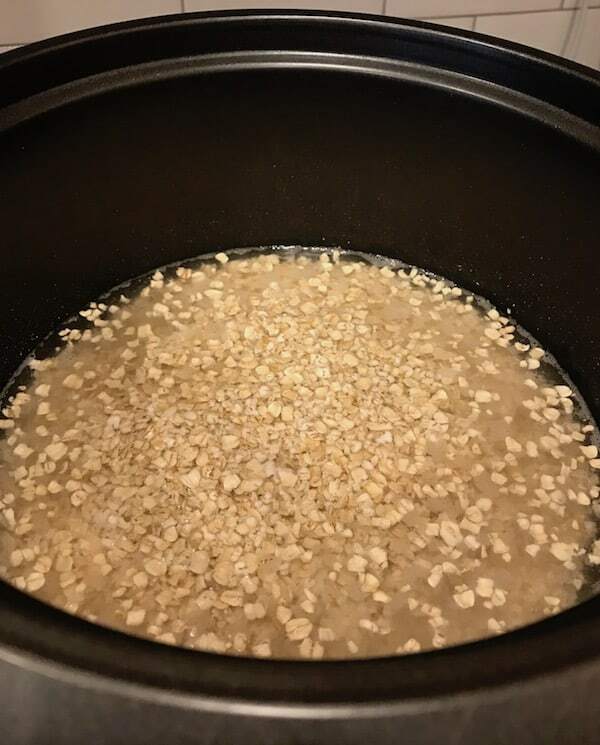 You don’t need much to prepare oatmeal in your rice cooker. If you have oats, water, and a rice cooker, you can make it. Add water and rolled oats to your rice cooker. Top it with the lid, plug it in, and turn it on. You’ll have oatmeal in about 10-15 minutes. This gives you plenty of time to get your coffee ready and coax the kids out of bed. 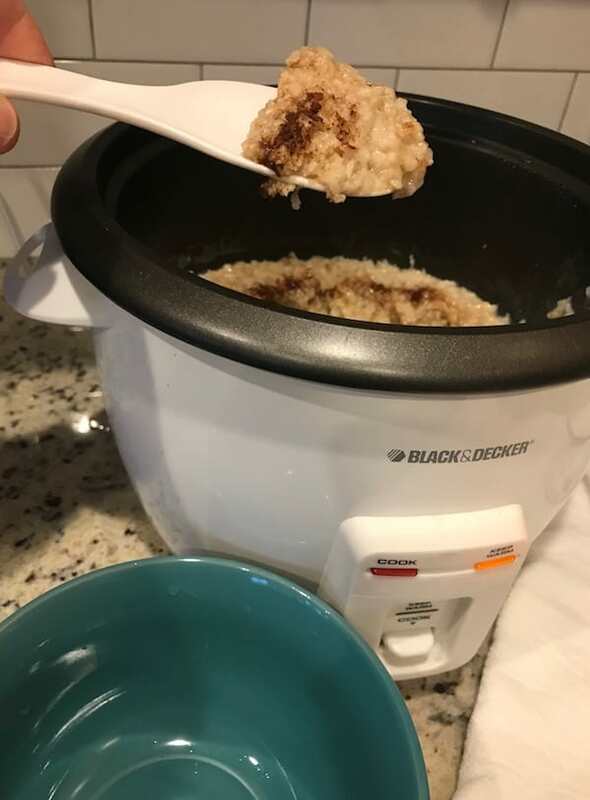 Another benefit is that if you’re busy, the rice cooker will keep your oatmeal warm until you’re able to get to it. This makes it extra convenient. Rice cookers are portable pots that you can take with you when you go on a vacation in your car. You can even fit a smaller one in your suitcase when you fly. As a result, you’ll save money and time when traveling. In addition to that, you’ll feel much better since you’ll be able to resist the tempting tray of pastries in the hotel. Oatmeal is a complex food that is also extremely versatile. You can prepare it for breakfast or add it to desserts. How is Oatmeal Good for You? In addition to providing the nutrition your body needs to function it is also good for your skin. What is Oatmeal Made Of? Oatmeal is made of groats, or hulled oat grains. The ones I use are rolled oats, but they also come in a steel-cut version. Is Oatmeal a Good Breakfast Food? Yes, oatmeal gets your day off to an excellent start with essential nutrients. It also keeps you from getting hungry, so you should be able to make it to lunch without being ravenous. This versatile appliance is something I think everyone should have. It’s super easy to use and is very forgiving, so it’s hard to mess up. What is the Best Rice Cooker for Me? There are so many excellent rice cookers on the market it’s not possible to choose just one. Look for one with the features and size you need. What Size Rice Cooker Do I Need? Base your choice on the volume of food you’ll put in the rice cooker. I use both my small rice cooker for two-person meals and my medium-size one when we have company or need leftovers. Do I Need a Rice Cooker? No one needs a rice cooker, but they sure are a nice convenience. You can put all the ingredients in the cooker and walk away while it cooks. Then it switches to warming mode to keep the food warm. 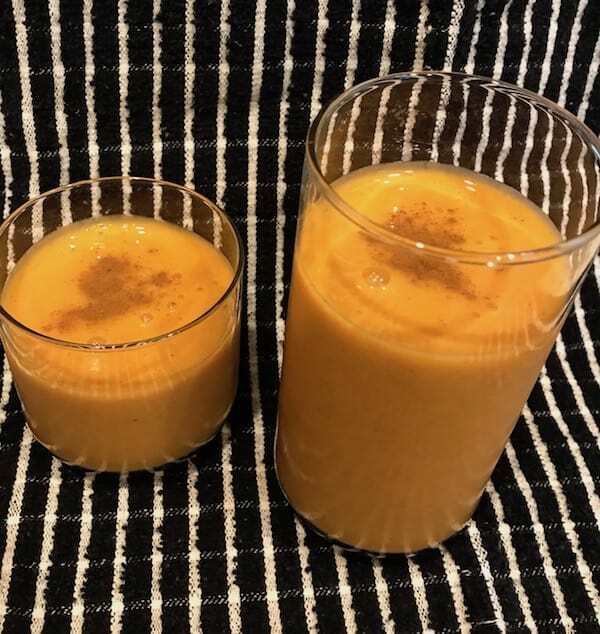 If you like pumpkin, you’ll also love the flavor of these refreshing pumpkin pie smoothies. And for a quick breakfast, try making some egg muffin cups that you can grab on your way out the door. Rice cookers are the ideal kitchen appliance for making oatmeal because they are convenient and easy to use. 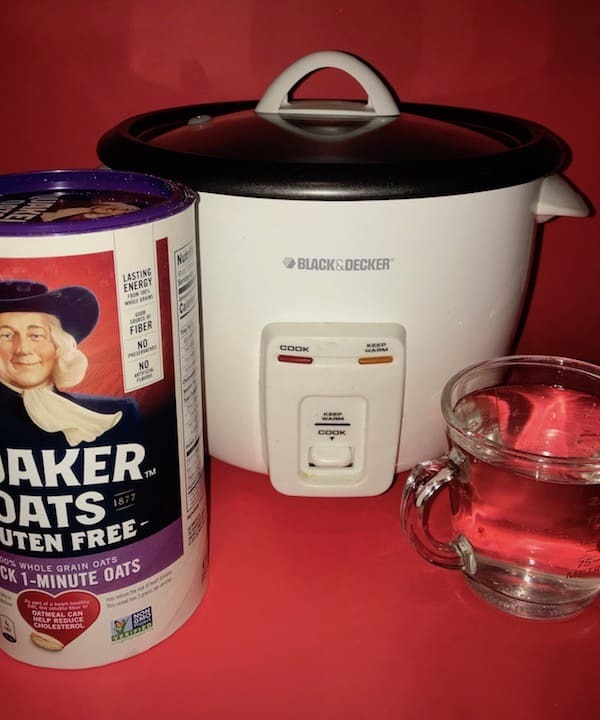 Pour the oats and water into your rice cooker. Stir to moisten all of the oats. If you want to add cinnamon before cooking your oatmeal, now is the time to do it. Put the lid on the rice cooker and turn it on. Go about your business until it clicks off. Your oatmeal is done and ready to enjoy! Before you eat your oatmeal, you may add berries, honey, raisins, brown sugar, pumpkin butter, fruit preserves, nuts, or milk. By doing so, you’re adding both flavor and nutrition. Please keep in mind that you're also adding calories.